The Packers vs Cancer initiative is aimed at raising awareness for all cancers. Together, the Packers, Bellin Health and the Vince Lombardi Cancer Foundation have teamed up in an effort to educate fans on the importance of early screening and detection, while working together to raise funds to help support the ongoing fight against cancer. The Packers vs. Cancer initiative, which will run throughout the month of October 2018, featuring a variety of fundraising efforts, including the sale of a Packers/Vince Lombardi-themed cancer awareness hat available for purchase at the Packers Pro Shop. 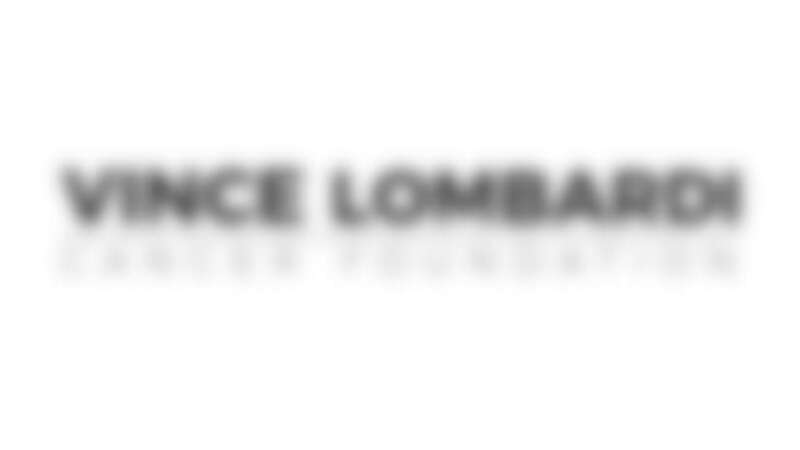 Each hat sold will result in a $5 donation directly to the Vince Lombardi Cancer Foundation. Each hat purchased will also come with a free 100 Seasons pin, while supplies last. Additionally, Additionally, an opportunity for shoppers at the Packers Pro Shop to contribute by adding $1 or more to their purchase that will go directly to the Vince Lombardi Cancer Foundation. Those who donate will have the opportunity to put their name on a special card that will be displayed in the Pro Shop throughout the month of October. Campaign spokesperson, Packers linebacker Blake Martinez, will take part in a public service announcement and several Packers players will visit cancer patients throughout the course of the 2018 season. 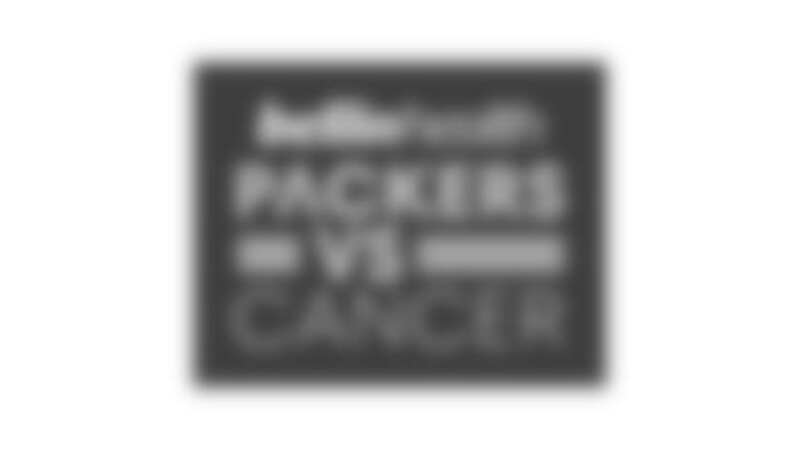 As part of the ongoing Packers vs. Cancer initiative, the Packers and Bellin Health together will recognize the ongoing fight against cancer at the 2018 Packers-49ers game at Lambeau Field. On game day, the Packers, Bellin Health and the Vince Lombardi Cancer Foundation will celebrate and recognize cancer survivors on the field during pregame Ambassador Line, the national anthem and halftime activities. Fans in attendance can also show their support with the game giveaway flag. Game attendees also will be able to submit their game day photo using #PackersvsCancer for their chance to be on the video board at Lambeau Field. 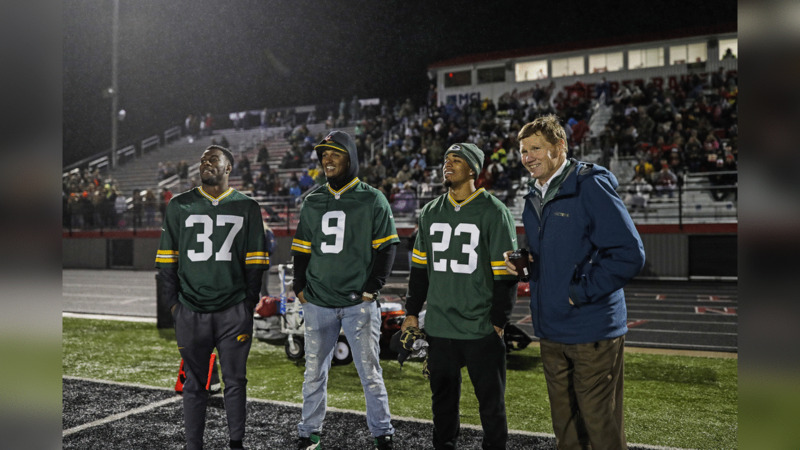 Packers President/CEO Mark Murphy, CB Jaire Alexander, CB Josh Jackson and QB DeShone Kizer joined fans at the Pulaski vs. Preble football game Friday night to help raise awareness of all cancers and raise funds to battle the disease.